President of KPMG Forensic Inc. and a Partner with KPMG’s Advisory Services practice in Atlantic Canada. He brings over 16 years of overall experience and 13 years experience in public practice in IT security and attestation and forensic investigations, and has worked extensively with global gaming organizations. 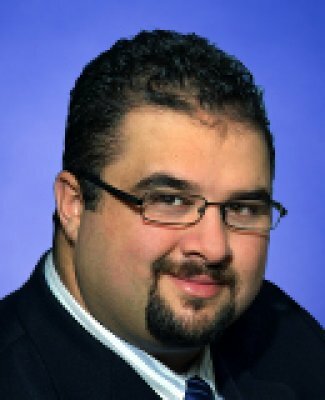 Louie has led IT security reviews of online gaming and gaming back-end processes for Canadian lottery corporations, performed attack and penetration testing, application stress testing, and firewall vulnerability reviews within global gaming environments. He has also led a forensic investigation around lottery processes for customer complaints and internal winning files, investigated online gaming discrepancies, and provided attestation services under Inter-provincial Lottery (ILC) minimum control standards. Most recently, Louie led the World Lottery Association (WLA) responsible gaming certification for an Atlantic Canadian-based gaming corporation, assisted as a subject matter expert on the WLA submissions for four additional Canadian jurisdictions, and worked on the European Lottery TOTO responsible gaming submission for a gaming corporation in Israel. Louie has a Bachelor of Business Administration from St. Francis Xavier University and is a member of the Institute of Chartered Accountants of Nova Scotia. 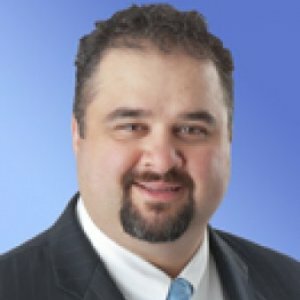 He is a Certified Information System Auditor (CISA), Certified Information Security Professional (CISSP), a Certified Assurance Advisor (CAA), a GIAC Certified Forensic Analyst (GCFA), is certified in the Governance of Enterprise IT (CGEIT), and holds a Government of Canada Level II Security Clearance. At the Italian Canadian Cultural Association of Nova Scotia (ICCA NS) our mission is to enrich, share and reflect Italian Canadian culture through social, cultural, recreational and educational services. The association provides instruction in the Italian language and culture, organizes social events on Italian cultural themes, and provides a forum where its members and the community-at-large can share experiences and mix socially. The Department works with Canadians throughout the economy and in all parts of the country to improve conditions for investment, improve Canada's innovation performance, increase Canada's share of global trade and build a fair, efficient and competitive marketplace. The Dartmouth Minor Football Association is a non-profit organization that has teams playing football during the months of August through November. We welcome both male and female players and feature student athletes who are 8 - 20 years old. Our program is not about winning games, but about developing football skills, teaching commitment, fair play and team spirit. The National Congress of Italian Canadians (NCIC) is a nationwide umbrella organization whose objectives are, to promote, represent, defend and safeguard the interests of the 1.45 million Canadians of Italian heritage it represents. Italian Canadians are proud of their contributions to Canada and will continue their commitment to making Canada a rich and diverse cultural mosaic for the benefit of all its citizens. Cloud computing: Can gaming companies brace for the storm? Learn how to play smart and strategically manage the challenges presented by online web and mobile gaming applications. This session provides a comprehensive approach to mitigating risks by taking a holistic view to risk thereby enhancing your understanding of the legal, regulatory, social, technological, and operational considerations of online gaming.